St. Pius X is a stewardship parish in which each family is asked annually to make a commitment to share their time, talent, and treasure with the parish. The following tuition rates are available to those who are active members and commit themselves to contribute regularly to the support of the parish. Contact us about Non-Catholic tuition rates. Tuition is paid online through ParentsWeb/FACTS, and is payable in a lump sum or over 9, 10 or 12-month installments. Please note that the first installment for the 12-month plan begins June 2019, if applicable. The 10-month plan begins July 2019, and the 9-month plan begins August 2019. *St. Pius X Parishioner Rates, as well as Associate Parish Rates, are discounted tuition rates, as those parishes have agreed to pay a subsidy to our school. If your family attends a parish other than St. Pius X, you must complete a Subsidy Form and have it signed by your pastor as part of the enrollment process. Any question about your eligibility to receive the parishioner rate should be addressed with your pastor. Registration Fee (non refundable) will be collected through the online enrollment process. You must Register and pay this fee in order to hold a spot. 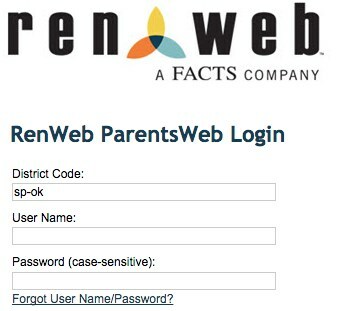 Remaining Fees will be charged through your ParentsWeb/FACTS account in July. If you have questions about Tuition Assistance, please contact the School Office at 918-627-5367 or email Beth Krukowski at bkrukowski@spxtulsa.org. Every effort is made to provide tuition assistance to practicing Catholic families. Students must first enroll at St. Pius X School before applying for financial aid. Applications are submitted by going to http://online.factsmgt.com/aid. The last day to apply is April 17, 2019. Once applications are processed, each school principal meets with the superintendent to determine allocation of funds. Award amounts are based on family need. Notifications go out to families at the beginning of May. Please contact Beth Krukowski in the school office with any questions: 918-627-5367 or bkrukowski@spxtulsa.org.